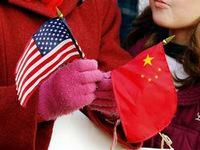 A new survey shows that Americans view Asian countries, not European ones, as the most important partners for the US. Europeans who found themselves discounted and ignored a decade ago by Washington “ain’t seen nothin’ yet”, in the words of the popular rock song. The disdain for “old Europe” shown by the administration of former US president George W. Bush was just a foretaste of what may be to come. Americans in growing numbers, especially the young and Republicans, are turning their backs on Europe, linking US national interests to Asia, according to the new Transatlantic Trends public opinion survey by the German Marshall Fund of the United States. This development has profound implications for the future of transatlantic security and economic relations. If, as expected, Republicans recapture the US Senate in the 2012 elections, if a Republican moves into the White House in 2013 and a whole new generation of Americans who have come of age in an era of ascendant Asia and declining Europe assume positions of greater authority and responsibility in business and government, Europe may increasingly find itself off the US radar screen and out of the loop on major global policy decisions. Moreover, a partisan divide has emerged in attitudes toward the relationship. A majority (57%) of Republicans now believe that the United States should take a more independent approach from Europe. Only 35% of Republicans held such unilateralist views in 2009. In contrast, a plurality of Democrats (42%) still supports closer ties with Europe, while independents are divided on the issue. There is a similar partisan divide that has emerged over NATO, the cornerstone of the transatlantic alliance. Six in ten (62%) of Americans still think NATO is essential to the US’s security. But only a bare majority, 51%, of Republicans think NATO is still essential to the US’s security. That support is down 11 percentage points since 2009. Democrats’ backing for NATO (69%) is actually up five points, independents’ support (56%) has slumped by just two points. As Americans turn away from Europe, they are turning toward Asia. A majority (51%) now see China, Japan and South Korea as more important than the nations of Europe for US national interests, according to the survey. And again there is a partisan divide on this issue. Only this time, it is Democrats (54%) and independents (51%) who see the countries of Asia as more essential. A plurality (47%) of Republicans still see Europe as more important, probably because a strong majority (72%) of Republican voters see China as an economic threat to the US. Europeans should be particularly concerned that a strong majority of Americans under the age of 45 now see Asia as more important than Europe. The Americans who most value Europe are rapidly disappearing from the stage. The American people are clearly drifting out of Europe’s orbit. The longterm implications for the transatlantic relationship of these shifts in American public opinion should not be underestimated, especially if a Republican sits in the White House in 2013, with a Republican-controlled Congress. Bruce Stokes is the senior transatlantic fellow for economics at the German Marshall Fund of the United States.